Green Coffee bean extract provides unique compounds – chlorogenic acids – not found in high levels in roasted coffee beans. These active constituents are shown to help to support normal blood sugar levels for those already in the normal range. Such effects can help to control cravings as well as dips in energy levels. • May boost metabolism to help you achieve your weight management goals, when used in conjunction with a healthy diet and exercise program. 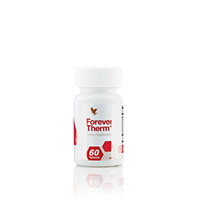 • Provides powerful botanicals and nutrients to help support thermogenesis.